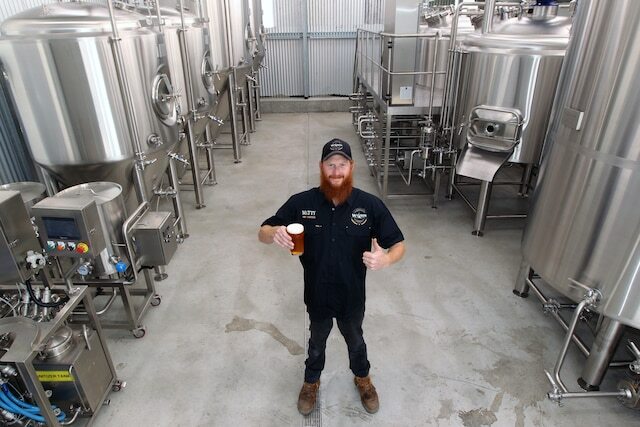 In the West Australian city of Albany, Wilson Brewing has recently undergone a rebranding along with new brewery installation. Owner and head brewer Matt Wilson opened Wilson Brewing two years ago and recently took steps to take the business to the next level. “Initially the plan was to start a small, five barrel little brewery for the people of Albany but brewing seven days a week to meet demand, we knew we had to update,” he told Brews News. A boilermaker by trade with a background in building stainless steel wine tanks, Wilson handmade the five-hectolitre brewhouse that served the company from start-up phase. The experience of building and troubleshooting his own brewery made him decide to go with a professional system for his expansion. The company has recently installed a Spark 15-hectolitre three-vessel brewhouse along with two 15hL and three 30hL fermenters. The upgrade has enabled the company to ramp up production, with consistency and and efficiency benefits. The company now has plans to ramp up distribution statewide and beyond. The old brewing kit has now been removed and is going to a local start-up venture, with Wilson Brewing’s support. The update also includes a new canning line, the company having previously packaged its beers on a handmade bottling and manual labeling system. “I’ve constructed the new canning line using mostly Cask canning units from the US, but I want to continue employing people not machines, so I’ve got a manual label applicator and manual filler,” Wilson said. 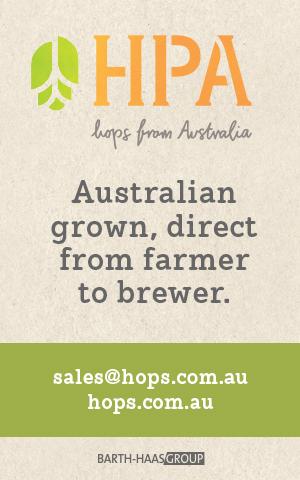 The brewer and his team also designed a new logo and branding that aims to better represent their story and local environs. “We knew early on that we had to have an image and a brand that really tied us to Albany,” Wilson said. 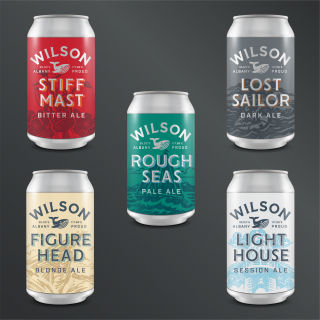 Wilson Brewing has a core range of five beers including the Rough Seas Pale Ale and Stiff Mast Bitter, as well as monthly seasonal beers showcasing fresh local produce. Open seven days a week from 11am till 7pm, the taproom has food trucks Thursday through Sunday. With Boston Brewery in Denmark being 20 minutes away, Wilson Brewing is the main independent beer venue for the people of Albany.